Screen real estate seems to be getting less expensive by the day. I recently bought a pair of 24-inch LCD monitors for a very affordable price, whereas a few years ago I could only dream of having such a setup. On the other end of the spectrum, more and more people are toting tiny netbooks with 10-inch displays. But no matter the size of your Windows desktop, you can get more out of it with the help of free and low-cost tools. Linux users have long been familiar with the concept of a virtual desktop--an entire copy of your desktop, complete with its own set of running applications and sometimes a custom wallpaper. You can switch to this virtual desktop whenever you need extra space, or just to focus on a specific task. You’re not limited to just one extra virtual desktop, either; some people use four or more. Although Windows doesn’t include a built-in virtual desktop feature, you have two very capable free options: VirtuaWin and Dexpot. 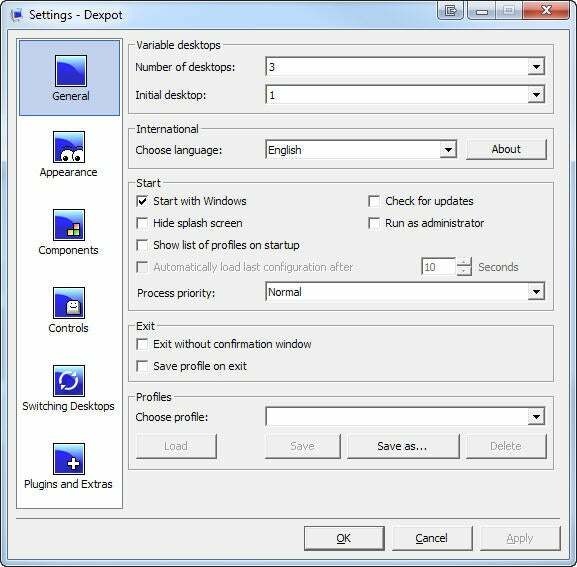 VirtuaWin is bare-bones and fast, while Dexpot offers tight integration with the Windows 7 taskbar by default, as well as some fancy visual effects. The result isn't as seamless as Compiz Fusion on Linux, but you do get a nice rotating-cube animation when switching between desktops. If you have ample desktop space already, you may be more interested in managing your windows more effectively. Windows 7 has a few nice built-in keyboard shortcuts (Windows-Left, Windows-Right, Windows-Up) for resizing windows, but you could kick things up a notch (or three) with the free utility WinSplit Revolution. This versatile tool allows you to use your keyboard’s number pad to quickly move and resize windows to preset positions on your screen, creating a tight grid of windows with no wasted space. 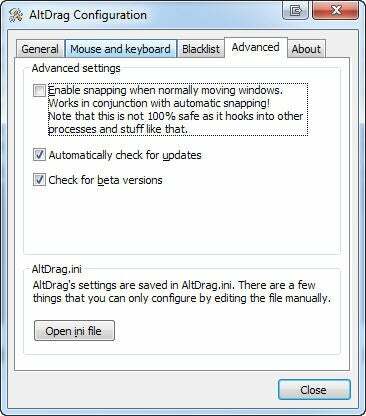 If you prefer dragging windows with the mouse, try the tiny utility AltDrag. This freebie borrows another Linux feature, permitting you to drag windows around just by holding down the Alt key while clicking on any part of the window. You can also use AltDrag to resize windows, and it even mimics Windows 7’s Aero Snap feature, making windows snap to one another as you drag them around. Speaking of snapping, another useful free utility is AquaSnap. If you aren't using Windows 7 yet, you can get a taste of the OS with this tool, which brings a somewhat improved version of Aero Snap to any Windows operating system. When you drag any window to any edge or corner of the screen, it resizes accordingly (drag to the bottom-right corner, for instance, and the window will take up the bottom-right quarter of the screen). 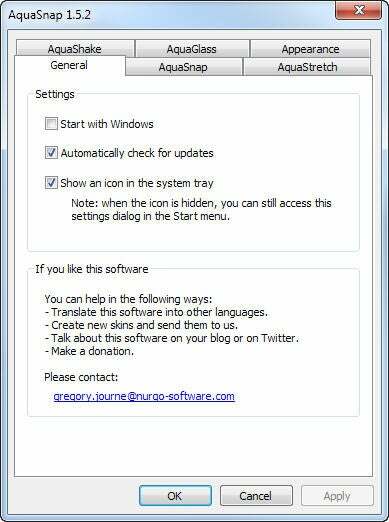 Even if you are using Windows 7, AquaSnap may come in handy: It has a feature that lets you shake a window to keep it always on top (rather than to hide all other windows, as Windows 7's Aero Shake does by default). Sometimes, resizing a window to occupy “a quarter of the screen” doesn’t cut it. Some situations (taking screenshots, for example) call for pixel-perfect window dimensions. Whenever I need to resize a window to a particular size, I reach for Sizer, a small, free utility that does just this one thing--but does it very well. All of the free utilities above are great, but they handle very specific tasks. If you have a multiple-monitor setup and want one all-around tool to make the most of it, look at either DisplayFusion or UltraMon. Both programs are commercial tools (DisplayFusion retails for $25 while UltraMon sells for $40), but they include oodles of options. Perhaps most important, both let you extend the Windows taskbar so that it runs across multiple monitors. Last but not least is a utility for the night owls. If you tend to spend time in front of a computer screen well after the sun has set, the display's eerie blue glow may be affecting the quality of your sleep (or perhaps just the comfort of your eyes). Try the free and simple utility F.lux, which automatically adjusts the color temperature of your screen at night to make colors warmer and less bluish. If you can't resist getting in one last email before bed, F.lux might help you rest better when you finally unplug for the night.